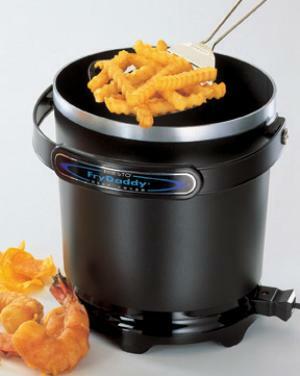 These Presto(r) deep fryers are terrific for making delicious fries, chicken, onion rings and more. The proper frying temperature is automatically maintained. Handy scoop stirs, separates, lifts, drains, and serves. Nonstick surface, inside and out, for easy cleaning. Snap-on lid lets you store oil to use again and again.